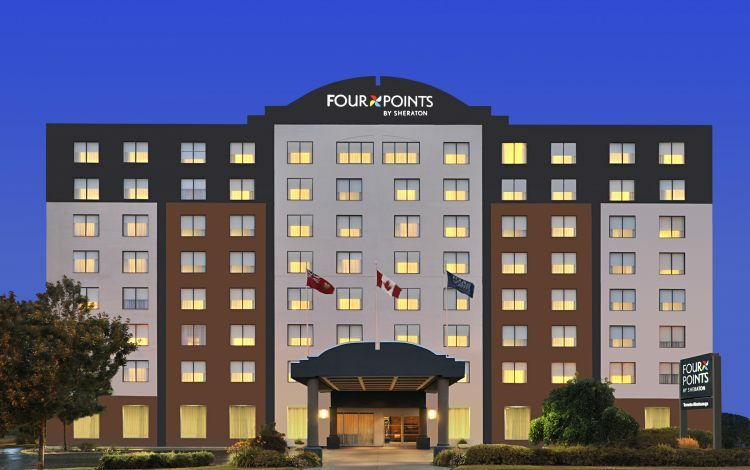 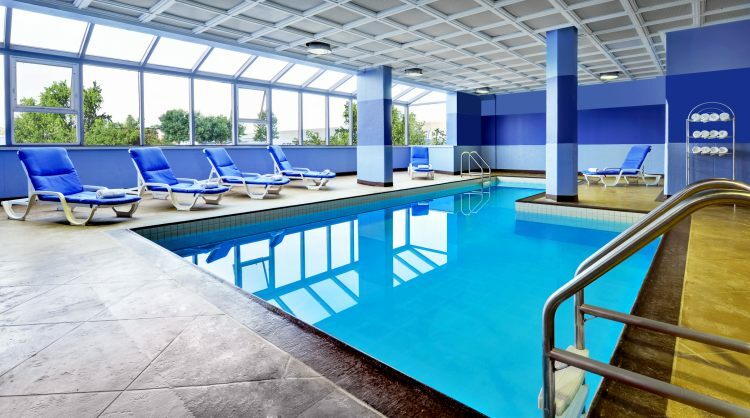 An indoor pool and hot tub and free airport shuttle add value to a stay at the Four Points by Sheraton Toronto Mississauga. 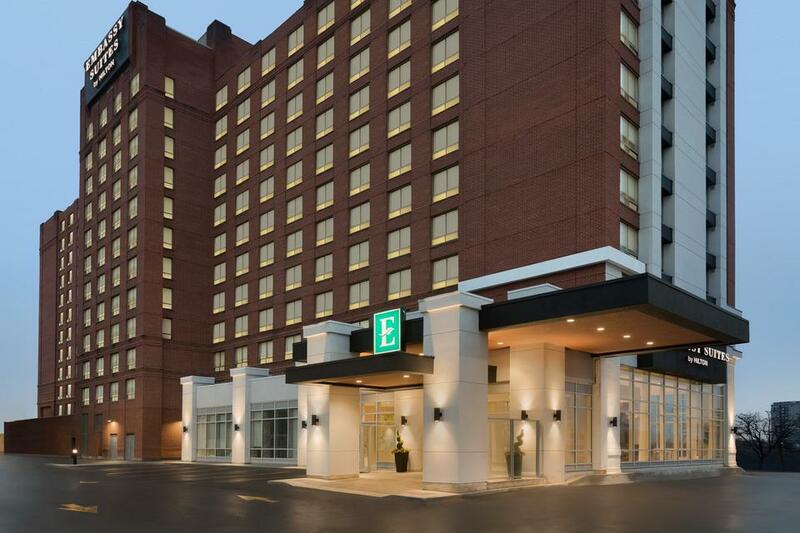 The eight-story non-smoking hotel has 145 contemporary rooms featuring wall-mounted flat-panel TVs with premium cable ergonomic desk chairs free local phone calls hairdryers and coffeemakers. 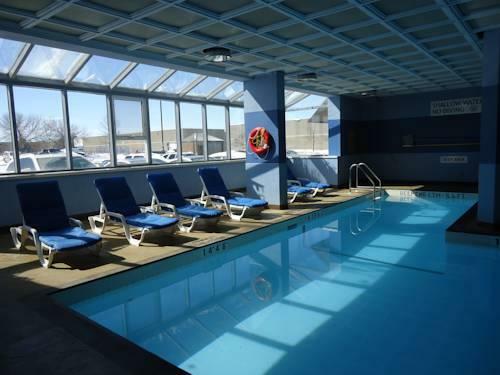 Pack gear for the fitness facility indoor pool and hot tub and treat yourself to a relaxing meal at the hotel's restaurant open for breakfast lunch and dinner. 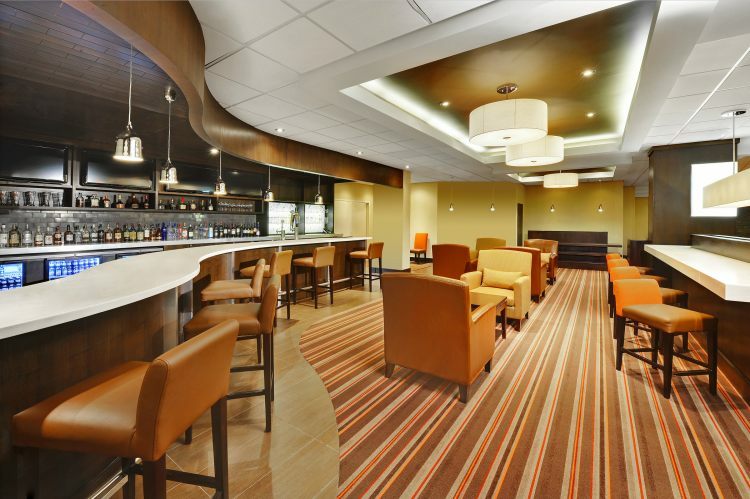 The on-site lounge serves cocktails and a limited bar menu. 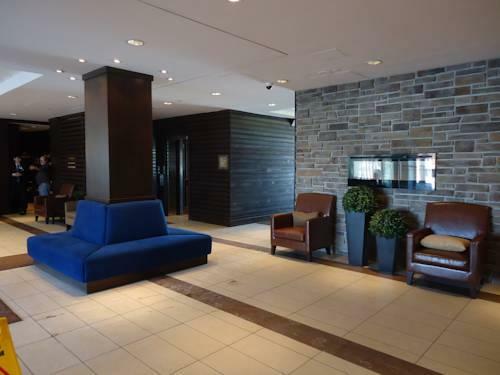 The hotel offers free shuttle service to Toronto Pearson International Airport. 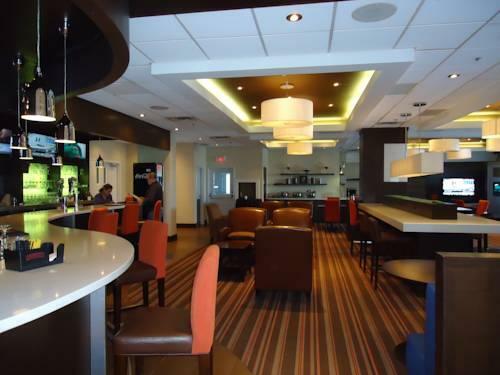 The hotel is one mile from Toronto Pearson International Airport. 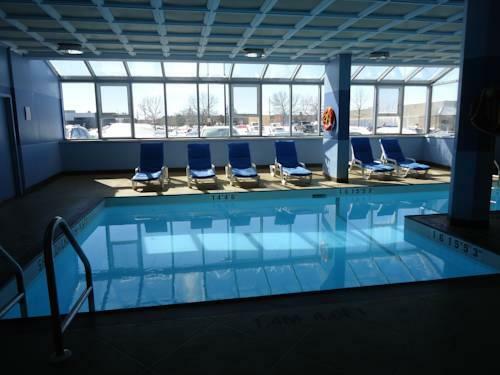 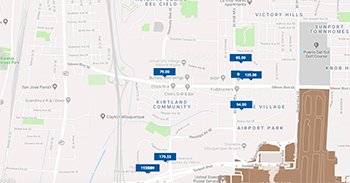 It's three miles from Square One Mall and five miles from the discount shopping at Heartland Towne Centre. 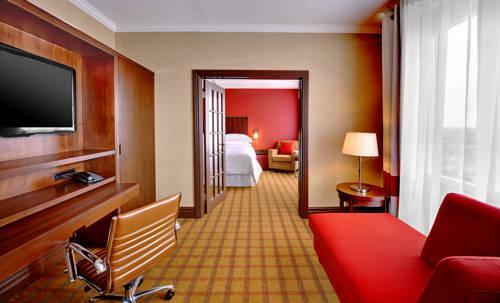 Downtown Toronto and attractions like the Hockey Hall of Fame the CN Tower and the Art Gallery of Ontario are 18 miles away. 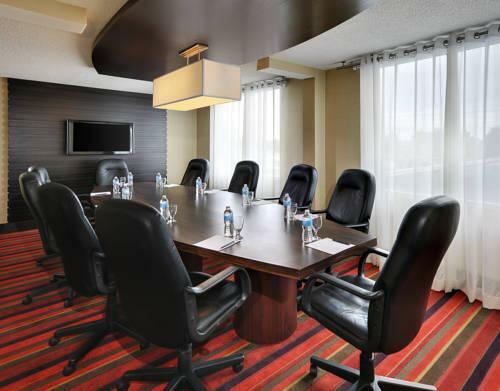 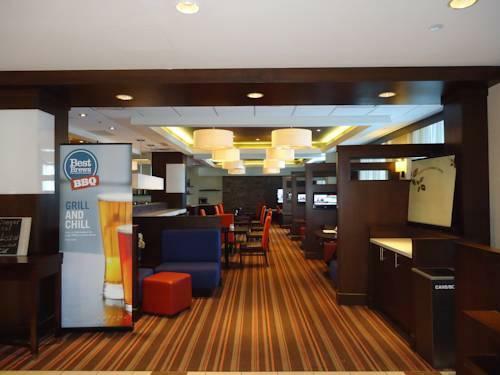 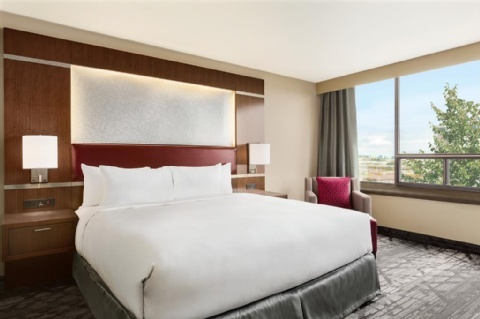 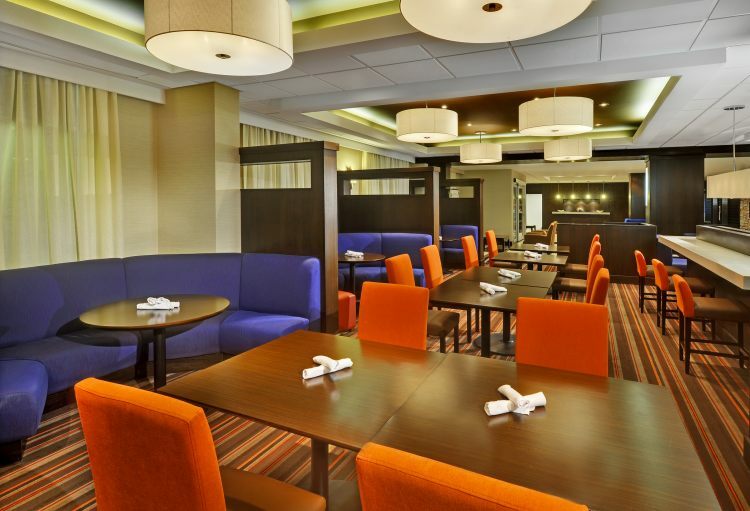 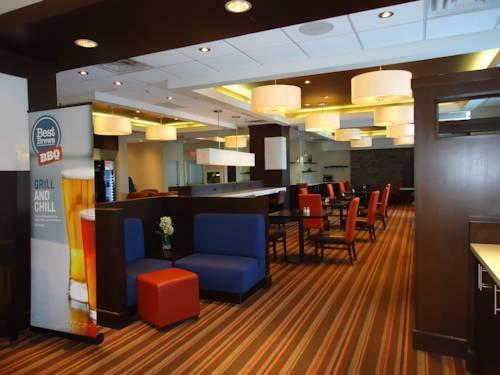 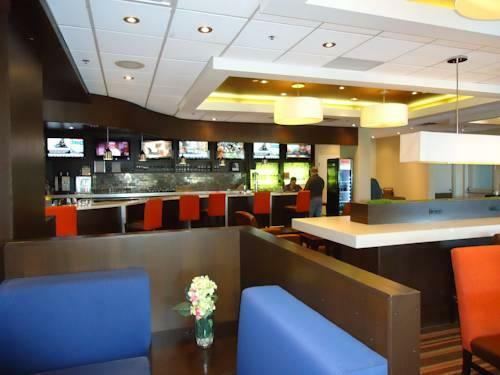 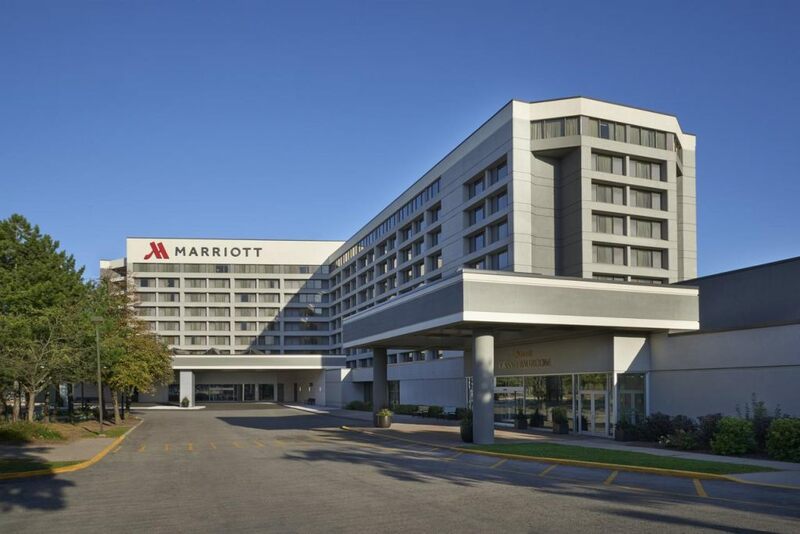 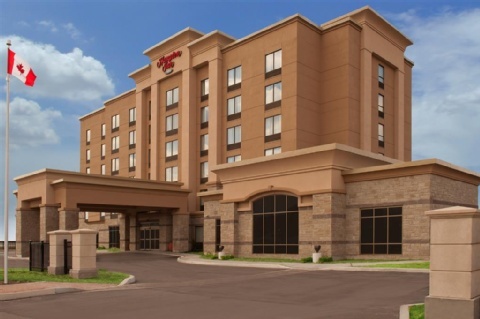 our guests report that the "location is good and the price is reasonable" at the Four Points by Sheraton Toronto Mississauga and praise its "nicely appointed" "updated" rooms and "sleek" bathrooms.